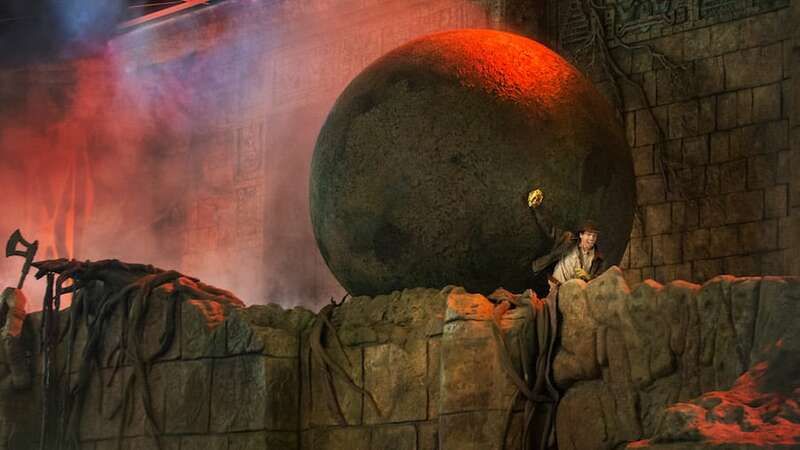 It’s been 35 years since audiences first became enthralled with Indiana Jones, the archaeologist turned adventurous hero in “Raiders of the Lost Ark” – and more than 25 years since audiences fell in love with “The Indiana Jones Epic Stunt Spectacular” show at Disney’s Hollywood Studios. 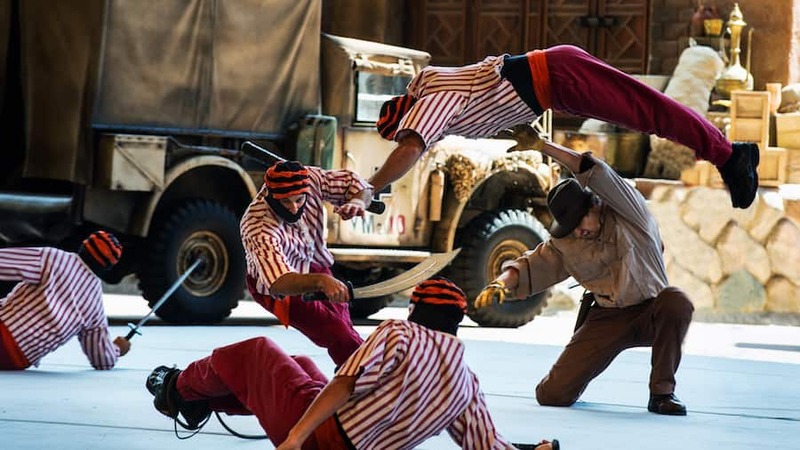 For those of you who aren’t familiar, “The Indiana Jones Epic Stunt Spectacular” is a daily stunt show that takes guests on a breathless journey to watch stunts from the film franchise performed before their very eyes – including fight scenes, whip tricks, sword fights, high falls, fiery explosions and much more. The storyline of the stunt show was inspired by “Raiders of the Lost Ark,” the first Oscar-winning film in the Indiana Jones franchise. And here’s an interesting bit of history: the stunt show opened in 1989, the same year “Indiana Jones and the Last Crusade” was released, making the stunt show an instant smash hit with park guests. Over the years, the stunt show has been a park favorite with adventure-seeking guests regularly packing the 2,000-seat theater, multiple times each day. I recently headed backstage at “Epic” to meet stunt performers Kevin (who has been with the cast since opening day), as well as Robert and Michele, to get their thoughts on what keeps audiences coming back again and again. And maybe, learn a thing or two myself. 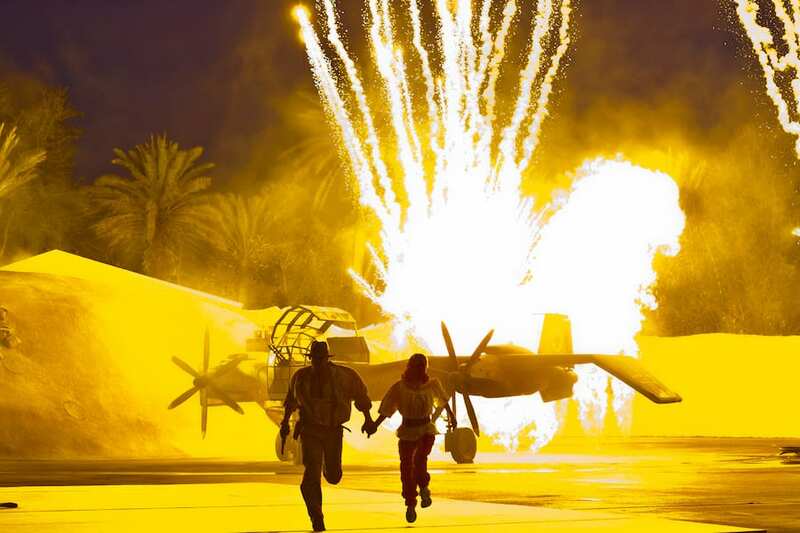 Will you add “The Indiana Jones Epic Stunt Spectacular” to your must-do list? Learn more about the show here. I am a big Indiana Jones fan so this show is a definite cannot miss/must do every time, including my upcoming trip in May 2016..so hold tight Indy, I’m coming! I think we will be seeing this show for the last time this year as hopefully on our next trip we will be able to explore Star Wars Land instead! As a kid I was a huge Indiana Jones fan. Needless to say we had to see the Epic Stunt Spectacular at least once on every trip. I still love it to this day. I was worried a few years back when it was rumored this show would be closing to make way for Star Wars Land. It seems I can breathe a sigh of relief as the park has decided to close other areas instead. Thank you for posting! James’ wife here – sorry Jennifer, it can’t possibly be 35 years since the movie and 27 for the stunt show – I swear it was just yesterday! WOW cannot wait until we visit again this Spring! Our son, the first time he saw the stunt show back in early 2000’s, spent his allowance savings for his souvenirs, on the leather version of the Indiana Jones hat, he still has it and it looks incredible! Counting down for our visit! The movies are so great AND so timeless, aren’t they? Love Indy! 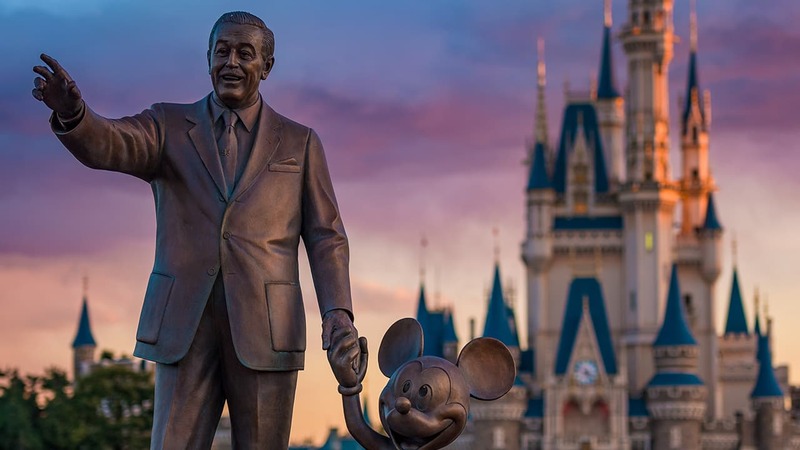 Did not get a chance to visit when we were there in 2014 as we only had a half day during the frozen Summer Fun so we missed it. Really hoping it will continue to run as I do have it on my list of must see for May 2016. Hang in there Indy I am coming to rescue you.!!! This has been my sons favorite of all at WDW. We have so many pictures with Indy and different stunt members and crews. My daughters have been chosen to participate in this several times over the years. Love the show whether they’re in it or not, but of course it’s more exciting to see them enjoying it too. I hope the rumors of it closing to make way for Star Wars Land are not true….I want to continue to enjoy this show AND look forward to Star Wars in the future. I’ve had the privilege of getting the chance to be an extra cast member for this show!I was a “Screamer” It was a cool experience meeting the Cast Members and getting a chance to perform in the show. Cant’ wait to see it again when I go back in May. I hope you enjoy it, Erin! What a fun memory to have. I’m really bad at math but if this opened in 1989, that would make it 27 years running, not 35? I’m confused. “Raiders of the Lost Arc” is 35. The stunt show is 25+ years old. I was 9 the first time I saw the show with family and I believe it’s the reason the Indiana Jones films are my absolute favourite. When we returned from the UK 12 years later, it was top of my list when we went to Hollywood Studios and again in 2014 and 2015. The show just reminds me of my youth so much and just makes me generally happy. There can never be enough Indiana Jones! Even though I’ve seen this show many, many times and I know the show by heart, it’s always a never miss attraction for our family when we’re there. My son LOVES it and we see it almost every time we’re at the park.